Jared Taylor of American Renaissance explains the latest rush for the gates of Europe. With Germany in the lead, Europe has relaxed its rules and is letting in anyone who can make it across the border. This has unleashed a flood, and some Europeans realize that generosity to foreigners is cruelty to their own people. Pastoral Delusion: Called and Sent? John 15:26 “When the Advocate comes, whom I will send to you from the Father–the Spirit of truth who goes out from the Father–he will testify about me. John 16:7 But very truly I tell you, it is for your good that I am going away. Unless I go away, the Advocate will not come to you; but if I go, I will send him to you. 1 John 2:20 But you have an anointing from the Holy One, and all of you know the truth. 1 John 2:27 As for you, the anointing you received from him remains in you, and you do not need anyone to teach you. But as his anointing teaches you about all things and as that anointing is real, not counterfeit–just as it has taught you, remain in him. One is not equipped or ready to be a Pastor; until the Father tells him so, and only then is he sent – in power! 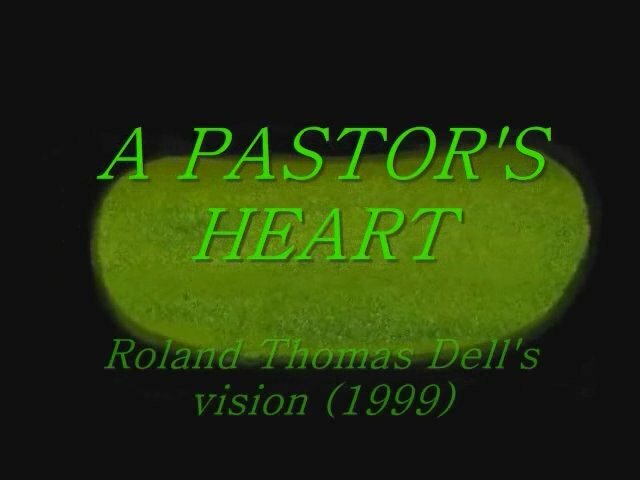 It has been 17 years since the Lord first showed me my “Pastoral Vision” – the heart beating full of grass. Yet it has taken these 17 years for the Holy Spirit to re-educate me in my basic understandings of the soul, spirit, the fall, Satan, and his greatest deception since the creation- the “Church System”! I was listening to a “Christian” broadcast last evening, and the “former” Satanic Wizard, spoke about selling his soul to the devil at a relatively young age… The only problem with his premise is that man is not born into this world in a “state of neutrality”, as he is already a child of the devil, only fit for execution in the lake of fire… This may seem to some, a teaching in semantics; yet in spiritual reality, it is not. And, the reason I am able to see what I am writing about; is because the Holy Spirit of truth has just pointed it out to my understanding…! Satan is the ultimate deceiver – the twister and tweaker of the truth, and even the best of man orchestrated seminaries, are incapable of seeing, nor teaching what only the Holy Spirit of God, (found by abiding in Christ alone) is able to see! Ewe- mystical, supernatural – stay away from it; the man orchestrated church systems screams. Yet to stay away from spiritual understanding, (the supernatural realm) is to walk in the flesh, the natural mind, which cannot receive the things of God! It is to stay away from Jesus Christ, and ensure that God is a good distance away from you! This is a heart condition (read spiritual), not merely an intellectual nor theological one! If it was just a theological or doctrinal position; which would only require some “good instruction” (sound doctrine) to make that person “right before God”; no atonement would be necessary, no death and resurrection of the “old man” into the new spiritual life: which the whole of the Bible, instructs us to walk in! This other, “look alike” to actually abiding in Christ, on a personal level, is called the “Spirit of Anti-Christ” – which John first spoke of; and the modern day “chuuuurch systems” – are chocked full of anti-Christ’s! Have you ever even noticed; that it is the “worst” terminology that is used in describing the “Man of Sin, That Wicked, The Son of Perdition? The term Antichrist is almost always used in this apocalyptic texts, yet the Chief Antichrist is the one who introduces (reveals Satan) to the world, and the world church systems.That’s the reason that; the “Church Systems” have never taught the subtle difference of the term, first coined by the Apostle John! The main reason is because most are blind to the truth, and the second reason is because it would cause believers to scrutinize “there leadership” to the point which systematic theology might lose control of “their” people!!! Yet those who have been given eyes to see, are Christ’s alone, and belong to no man! But false brethren have crept in (since 50AD no less), and the “Mother Church” (Roman Catholic Church) is but Christianized Mythraism under Constantine, and this really kicked off the deceptions, taught by “Alternatives to Christ”; properly know as Antichrists! Revelations 17-18 * The Mother of Harlots, and her Daughters, (Denominationalism) drunk on the blood of the Saints; are the ones who introduce the “King of Babylon”; Satan who poses as God, performing many signs and miracles, to be worshiped as God! This is why systematic theologies must be abandoned – for the truth; who is found by none other than “abiding in Christ alone” by Spirit – (* Come out of her my people – is the commandment to God’s actual disciples). This Harlot, (the opposite of a faithful bride) is sitting on the seven hills, seven rivers, seven horns, and so forth, “riding the beast” – can only be the “holy” Roman Empire, the head of mystery Babylon, built by man, independent of God. Satan is an expert on counterfeiting the things of God: *so that if it were possible, even the elect would be deceived. This goes on all the time now, and is shared on T.V., Radio, Social Media, and books. Please, don’t even think that churches are exempt: in not being naive – or that the sensationalism of the new age, near death community, ghost chasers, and various other types of witchcraft at work, are all around us now, and the memberships in Satanic debauchery have increased significantly, worse than in the days of Sodom and Gomorrah. The brakes have come off, he that restrained has been removed; strong delusion is present, the camp of the Saints has been overrun, and the darkness has come, that no man can work! These are only made more palatable to the natural man’s understandings and tastes of today, largely because of the false church systems won’t condemn sin! One must understand these deceptions, should they wish to point people – to the truth of God, in Christ our Good Shepherd. We paid a great cost to stabilize the middle east in Iraq ; Obama destroyed that stability, wasting multiple lives on the global war on terror. Very good insight in this article, yet I have noticed that most people would rather do behavior modification in “Church” – than to come to the Lord God himself, for crucifixion and deliverance “in Christ” of such deeper issues. Why? Because it is easier “not to be touched” in places we don’t want the Lord touching us; and to look good before men, than to turn the old man over for execution… I believe through personal experience, this is one of the primary reasons that actual believers take the broad road, which leads to spiritual death. The word abuse has taken many meanings over time. Immediately, most assume abuse involves anger or some form of physical violence. This is a simplistic and often misleading view of abuse. Anger is an emotion God gave us to alert us to problems. Righteous anger is not sinful and should not be associated with abuse. Anger mishandled can certainly lead to a sinful, abusive response, but it is a sinful heart, not the emotion of anger, that is the root cause of abuse. Everyone is suing for peace with the devil now. Stand fast! If there was a time when cares of the world are dangerous then this is it. You cannot afford to have wickedness overwhelm you, regardless of how many people you have to leave behind.